With the beginning of the ‘On Road Mass Agitation’ from yesterday initiated by Manipur People against Citizenship Amendment bill 2016 (MANPAC) to protest for the withdrawal of Contentious CAB, today also protestors blocked one side of the NH2 highways in between Singjamei to Canchipur at various places. Similar protests were also staged at Uripok Kangchup road and also at Khuman Lampak ISBT road. Mayai lambi too was disrupted as protestors sit in the middle of the road and also at Takyel Kolom leikai. The police were in a state of dilemma in controlling the protestors. Protestors confront with the police who were blocking the National Highway No.2 (Indo-Burma road) just behind Kakwa police Station. To disperse the protestors protesting in the Highway police throw tear gas shells. One woman identified as Mayengbam Kripa (40 years) wife of Sharat from Kakwa Laiphrakpam Leikai fainted and was rushed to a nearby hospital. While vesting the protest at Kakwa Ex. MLA O. Joy spoke to media person that he condemned the atrocities of the Manipur Police department in handling the democratic protestors by throwing tear gas shells. He also condemned the state government for their irresponsible nature. Even though the police tried to control the situation to unblock the highway, still protestors at various places continue to block the road. Speaking to media persons Ninghtouja Lancha said that MANPAC will intensify the protest until the bill is withdrawn and will even dishonour National symbols. ecosystem partners gathered. JCRE Skill Solutions was the title sponsor of the event. Prominent entrepreneurs like Fahad Moti Khan, CEO Technology 9 Labs, Vipul Saini, Head partnership, NASSCOM 10,000 startups, Yasuhiro Seo, partner at Spiral ventures, a Japanese VC farm, Manoj Kumar Basumatary, CEO and Co-Founder Symbiotic Foods, Nickson Sharma, Venture capitalist, North East Venture Fund and Lian Thangvung, Founder and CEO, Thangvung Privilege Services Pvt Ltd spoke as resource persons. Manoj Kumar Basumatary, CEO and Co-Founder Symbiotic Foods, a farmer from Assam, whose commercial pig breeding got VC funding narrated as how became a successful entrepreneur amidst various hurdles and hardships. Stating that Pig breeding business is a lucrative business which can change one’s life with the demand of pork being high in the north east, he said north east a best Narrating about his visit to a piggery farm in Karnataka, he said he found 22 people from North east working in a piggery farm for a small salary. “At a time when the North east is a best market for pork, Why the north east people should go a long way for earning rather than initiating the same business here”, he questioned. business venture. He said he left Bank job to start his piggery farm. Agriculture is a sector where a lone farmer cannot create a business ecosystem without collaborative effort, he added. Fisher Laishram, Governing member, Imphal Angels, while delivering introductory speech regarding the Startup summit 2019, said that the first NE start up event was organized by the Imphal Angels to bring the various ecosystem players like aspiring entrepreneurs, startups, mentors, investors, VC funds, and local industry on one common platform to promote entrepreneurship and to build a robust startup and innovative ecosystem in North-East India. It aims to to create a vibrant and diverse startup ecosystem in North-East India, he said. Stating that startup entrepreneurs are facing various challenges and hurdles in terms of funding, technical know-how and inputs, Imphal Angels was initiated by 9 likeminded entrepreneurs to help resolve the issues confronting the early-stage business. 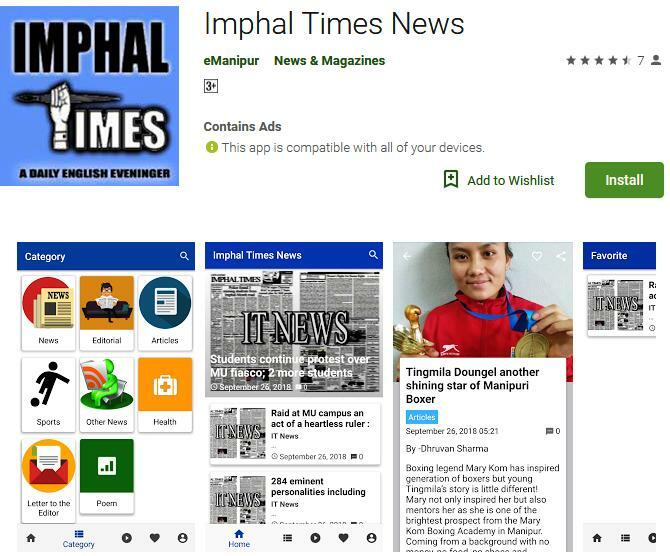 By becoming a member of Imphal Angels one will have a unique opportunity to become an early stage investor of some of the most innovative ventures from the region, which are largely untapped, and not only gain financially but also have an impact in the economic development of the region, he said. Apart from the capital investment, the company will help the entrepreneurs with timely mentoring and access to their large network of industry experts and VC funds, he said. Five things being carried out by Imphal Angels include Incubator and Accelerator, Startup mentoring, Startup services and partnership opportunities, he added. A startup pitch completion for the 10 selected startups was also held. Nearr from Assam, Hill Wild from Manipur, North East App from Nagaland, IWARI from Manipur, Medilane from Manipur, ELGAE TECH from Manipur, Tenderbud Tea from Assam, KAKSOI from Manipur, NIBIAA consultancy from Manipur and Hillsland Education from Manipur pitched for their business. On 06th February 2019 at around 1400 hours a mother brought her child to Unit hospital of Tengnoupal Battalion with critical burn injuries. A two year old female child of Chelep village was brought to Unit Hospital of Tengnoupal Battalion with serious burn injuries. The mother of child intimated that the child was playing around the transformer when it caught fire because of short circuit. The child being in proximity of transformer got burnt by the fire. Senior Medical officer of Tengnoupal Battalion with his elaborate experience and professional skills administered prompt first aid to the child and treated her with medicines to provide her immediate relief from pain. The child named Boinu Mate daughter of Khailen Mate was in agony because of severe injuries which were upto 40 percent deep burns on her back, chest and arms. The senior medical officer applied medicines on the body of the child to reduce the burning sensation and also administered injections to prevent infection from spreading and subsequently referred her to burn ward of RIMS/JNINS. The timely and swift actions taken by the Tengnoupal Battalion helped in saving precious life of a child. The senior medical officer with his expertise in medical field administered effective treatment which provided relief to the girl child and enabled her to be evacuated to Hospital of Imphal. The village authority of Chelep expressed their gratitude to Assam Rifles for saving the life of girl. The Tengnoupal Battalion is resolute to help locals in every possible means. Under the Scheme of the North East Youth Exchange Programme of the Ministry of Youth Affairs & Sports and Ministry of Home Affairs, Govt. of India 35 youths selected from Thoubal, Kakching and Chandel Districts left Imphal for Nagpur on the 6th February, 2019. The objective of the Scheme is to expose the youths to the technologically and industrially advanced states so that the youths will see various developmental activities including skill development, educational and employment opportunities. There will be exchange of the rich traditional and cultural heritage with a view to preserve and promote for future generation. This is an attempt to develop emotional linkage with their peers in different states of the country and enhance self esteem towards national unity and development. The Youth Exchange Programme is being organised by NYK Nagpur from 10 to 16th February, 2019. NYKS State Director Jacky Ruivah, District Youth Coordinator Yumnam Laksman Singh and UNV DYC Chandel flagged off the Manipur Team at the Youth Hostel, Khuman Lampak. The State Director wished the participating youths of Manipur to perform well in the National Level Programme. Meitei Huyen Langlon Sintam Shanglen (Satjal Academy), Wangbal Branch Observed its 22nd rising day Celebration on Wednesday at Wangbal Mayai Leikai in Thoubal District sponsored by the Universal Friendship Organisation. The Celebration begins with Chief Guest with Satjal members giving general salute to the “Pakhangba” flag, symbol of Satjal along with the theme song of Satjal. The formal function was attended by the Former Director of Centre for Myanmar and South East Asian Studies and Former Dean School of Human and Environmental Science of Manipur University Professor Wangkhem Nabakumar Singh, Former Member of Manipur Human Right Commission R.K. Rajendra Singh, Renown Actor & Social Worker R.K.Somorendro (Kaiku), President of All Manipur Apunba Nupi Samaj Thokchom Ramani, Pradhan of Wangbal Gram Panchayat Heisnam Manichandra Singh and Legal Aid Counsel of Imphal West Advocate Khuraijam Kanta as Chief Guest, President and guests of honour respectively. Around 500 members from different branches of the organisation and locals also attended the function. At least 100 members wearing black uniform gave salute during the flag hoisting of the organisation. Speaking at the function, Commander of Special Duty UFO, Naokhomba said that altogether 227 Satjal Academy had been opened and raised 38 Battalion so far in Kangleipak adding that Satjal Academy believes in peaceful co-existence and respect other culture and religion. He further said that Kangleipak used to be an independent nation having her own scripts, religion, culture, rule of law, and self-sufficient kingdom for a long period of time and added that the episode of Puya Meithaba some 200 years back was the most unfortunate incident happened in the history of Kangleipak. Stating that Kangleipak is home to more than 36 different communities, each community having their own culture, tradition and religion, the commander maintained that the UFO Society (Satjal Academy) was established to bring some order in the society which has been marred by chaos, indiscipline and directionless that has emerged in the last 300 years. The organisation was formed on four main objectives: to inculcate discipline among the elder and the younger generations, to bring back the lost culture, to spread awareness on the values of justice and to save the Meetei religion, he said. Inability to make a united stand among civil society groups , political parties and the students’ bodies is again becoming a stumbling block to the ongoing agitation against contentious Citizenship Amendment Bill which is on its way to pass at Rajya Sabha. All are against the Bill as it is about our land and people. Various form of agitations organised by various organizations are also against the passing of the Bill. But what will make the peoples’ movement ‘fail’ is the disunity among the various group either it may be the political parties, civil society bodies, students’ body or the meira paibis. As of now, two apex bodies – one MANPAC another PAM is spearheading movement against the contentious CAB. Political parties too have group themselves as M DF and SDF. May be some differences of strategy on how to move on the agitations and oppose the Bill may be different, but the goal of all the agitating body are similar. Yesterday saw PAM clarifying over a doctored video which went viral. As per their statement there are some people who are trying to confuse the agitation by drawing line on communal line. There may come another time that such plan to sabotage the peoples’ movement may come again using the similar techniques. And one thing the people of the state should understand is that as long as there is not unity among the various group it will give chances to those people who are in favour of the CAB in sabotaging the peoples’ movement. Interesting development is the state BJP’s open declaration of opposing the Bill by leading a joint alliance of MDF. The Congress already make its stand and they had tie and again oppose the Bill and the 9 political parties under the banner SDF are on their way pushing their respective MPs to stop the CAB 2016 from passing in the Rajya Sabha. Meanwhile, Ram Madhav , the North East in Charge General secretary of the BJP is very confident of getting passage of the Bill in the Rajya Sabha that he openly declared that the Bill will be presented as Supplementary in the Rajya Sabha. It is on record that the day when the Contentious Citizen Amendment Bill, 2016 was passed in the Lok Sabha, there was wild uproar in the entire states of North East. In Tripura protestors were fired. It is at this point that one need to ponder on why the BJP NE secretary told media about the things that has already burnt the NE. The very word of Ram Madhav is nothing but pouring of the fuel to the fire. It may be remembered that the Chief Minister of Manipur, perhaps under pressure at least joint hands with some political party urged the Union Home Minister and the prime Minister to insert a clause that would protect the state from CAB, which is neither feasible nor listen by the BJP leadership. Ram Madhav, the General Secretary in Charge of NE states for the BJP and present MP had stated that they are going to present the CAB 2016 and will pass in the Rajya Sabha too. The very statement of the BJP leader without saying anything to the demand of a BJP Chief Minister showed that they care nothing to NE states. After all the states put together including Sikkim have only 25 MPs. The issue of CAB and the uproar from the people of the state is not an issue as the BJP now shrewdly penetrated to West Bengal which have 42 MPs. Half of this number which the BJP is expecting to get due to the anti-incumbency factor of the Mamata Banerji Government as well as the number of illegal migrants which had already entered the city of joy who felt that they will be granted Indian citizenship. It is not an issue for Muslim migrant to convert it to any religion as most entered the country for survival. After all the CAB says persons without any document can also be granted citizenship of the country. There are no marks to any human being to show that he or she belong to any religion. As per news report appeared at some of the Assam based newspapers, bold statement of Ram Madhav which humiliated the uproar of the public against the Bill showed that NE states is not important to them. The Election Commission of India (ECI) announced the dates for the 11th Manipur Assembly Elections (MAE) 2017 two be held in phases on Wednesday, 4th January 2017. Accordingly the 11th Manipur Assembly Elections (MAE) 2017 was held in two phases correspondingly on 4th and 8th March 2017 under tight security. Repolls for both the phases were also later held based on reports and complaints of the voting process getting interrupted due to technical snags and other malpractices during elections. For the first time, two polling stations of Ukhrul AC were exclusively manned by women officials. The overall voter turnout for the state elections had been recorded at 86.61 Per Cent (PC). A total of 23 underground outfits of Manipur, consisting two conglomerates - the UPF and KNO are currently under Suspension of Operation (SoO) agreement with the Union Government. Three valley-based underground outfits of Manipur - the URF, KCP-L and KYKL-MDF too have signed Memorandum of Understanding (MoU) with the Union Government. The Chief Electoral Officer, ahead of the election, announced on 2nd March that altogether 2,228 underground cadres belonging to various militant groups who are under SoO and MoU with the Government of India (GoI) would cast their votes through postal ballot at 14 designated camps across the State. The five districts going to poll in the first phase MAE 2017 to decide the fate of 168 candidates in the fray including seven female candidates were Bishnupur, Churachandpur, Imphal East, Imphal West, and Senapati. The total number of electorates for the first phase was 19,02,562 comprising 9,28,573 males and 9,73,989 females. Out of the total 1,643 polling stations, the ECI had identified 837 polling stations as ‘hyper sensitive’ and 529 as ‘sensitive. For maintaining peaceful polling 280 companies of Central Paramilitary forces and armed police of other states have been deployed. In addition to it, 9338 state police personnel were also deployed. 8404 polling personnels were also appointed to conduct the elections. More than 61.05 percent of licensed arms were also deposited to police custody before the Election in order to conduct peaceful and trouble-free elections. Manipur Election Watch (MEW) and ‘Association for Democratic Reforms (ADR)’ did an analysis of the financial details, criminal background, age and educational profile of the candidates in the fray for the 11th MAE 2017 on the basis of the self-sworn affidavits submitted in filing the nomination for candidature. ADR was established by a group of professors from the Indian Institute of Management) Ahmedabad with a goal to improve governance and strengthen democracy by continuous work in the area of electoral and political reforms. It conducts multiple projects aimed at increasing transparency and accountability in the political and electoral system of the country. According to their analysis, of all the 167 candidates from 17 political parties, including six National parties, five State parties, six unrecognised parties and 14 independents who were contesting in the first phase, 54 are Crorepatis. It includes 21 out of 37 from Indian National Congress (INC), 21 out of 38 from Bharatiya Janata Party (BJP), five out of 12 from National Peoples Party (NPP), two out of eight from North East India Development Party and two out of six from Nationalist Congress Party (NCP). The average assets per candidate contesting in the first phase of Manipur polls was Rs 1.04 Crore. Among major parties, the average assets per candidate for 37 INC candidates was Rs 1.73 Crore, 38 BJP candidates (Rs 1.49 Crore), 12 National Peoples Party candidates (Rs 1.06 Crore), 10 All India Trinamool Congress candidates (Rs 32.74 lakh), six NCP candidates (Rs 58.74 lakh) and 14 Independent candidates (Rs 26.36 lakh). The analysis further said, there were three candidates who have declared serious criminal cases, including cases related to attempt to murder, cheating and dishonestly inducing delivery of property etc. Four out of 38 candidates from BJP, two out of 37 candidates from INC, one out of 10 candidates from Manipur National Democratic Front (MNDF) and one out of six candidates from NCP were also found to have declared criminal cases against them. A total of 72 candidates have declared their age to be between 25 and 50 years, while 95 between 51 and 80 years. On the education details of candidates, 38 have declared their qualification to be between primary and intermediate, while 124 have declared having a qualification of graduate or above and one candidate as illiterate. The election for the second phase of the MAE 2017 was held for 1151 polling stations spreading over the 22 Assembly Constituencies (ACs), viz, 1. Lilong, 2. Thoubal, 3. Wangkhem, 4. Heirok, 5. Wangjing Tentha, 6. Khangabok; four of Kakching District viz, 7. Wabagai, 8. Kakching, 9. Hiyanglam, 10. Sugnu, 11. Jiribam, 12. Chandel (ST), 13. Tengnoupal (ST), 14. Phungyar (ST), 15. Ukhrul (ST), 16. Chingai (ST), 17. Karong (ST), 18. Mao (ST), 19. Tadubi (ST), 20. Tamei (ST), 21. Tamenglong (ST), and 22. Nungba (ST). A total number of voters eligible for exercising their franchise were 10,79,369. The Congress and BJP have put up 22 candidates each for the fray. There were two CPI candidates, six Trinamool Congress candidates, one NCP candidate, 12 recognised State political parties’ candidates, 24 registered unrecognised parties’ candidates, and 24 independent candidates in the second and final round of the elections. Altogether 98 candidates, including four women, were in the fray for the remaining 22 seats. There were 29 Crorepati candidates in the second and final phase of the State Assembly elections, according to the report prepared by the MEW and ADR on the basis of the self-sworn affidavit submitted by the candidates themselves at the time of filing nomination. New Delhi, March 2 (IANS). At least 30 per cent candidates in the second phase of the MAE are Crorepatis, with the Congress topping the list as 10 of its 22 candidates (46 per cent) declared assets of over Rs 1 Crore. The report stated that out of the 98 candidates analysed, 29 were Crorepatis. Among party wise Crorepati candidates, Delhi-based ADR said that 10 of 22 fielded by INC, 8 of 22 from BJP, one of seven from NPP, five of 11 from Naga Peoples Front, one of four from Manipur National Democratic Front and two Independent candidates have declared assets worth more than Rs One Crore. The average assets per contesting candidate were Rs 1.33 Crore. Among major parties, the average assets per candidate for 22 INC candidates is Rs 3.11 Crore, 22 BJP candidates (Rs 1.29 Crore), 7 NPP candidates (Rs 38.02 lakh), 5 LJP candidates (Rs 37.58 lakh), 6 AITC candidates (Rs 6.97 lakh), 11 Naga Peoples Front (Rs 90.37 lakh), 2 CPI candidates (Rs 24.25 lakh) and 9 Independent candidates (Rs 1.40 Crore). On the education details of candidates, the report said that 24 have declared their qualification to be between 5th pass and 12th pass, while 72 having a qualification of graduate and above. One candidate has declared himself as just literate. A total of 46 candidates have declared their age to be between 25 and 50 years, while 52 between 51 and 80 years. The overall voter turnout for the state elections had been recorded at 86.61 per cent (Male- 84.62%, Female-88.51%). The overall voters turned out of the 11th MAE 2017 were an unprecedented all-time high in the history of electoral politics in Manipur. In Lok Sabha Elections 2009 for two parliamentary seats of Manipur, the turnout was 76 per cent, while it was 77.18 per cent in the 2012 assembly polls, and 78.2 per cent in the 2014 Lok Sabha polls. The 11th MAE 2017 to be held in two phases was held when the economic blockade called by United Naga Council (UNC), All Naga Students’ Association Manipur (ANSAM) on the state lifelines – National Highway (Imphal-Dimapur Road) and National Highway 37 (Imphal-Silchar) was ongoing. Undoubtingly Economic Blockade was the most pressing issue. The said blockade was a follow on of the total shut down called by the UNC against the ‘lopsided decision of the state government to upgrade Sadar Hills and Jiribam to full-fledged districts and against “State sponsored terrorism by the communal GoM.” In the electioneering of 11th MAE 2017, the two principal contending parties, the BJP and the INC have obviously the most highly pitched battle on the issue of economic blockade. The BJP used the UNC’s ongoing indefinite economic blockade of national highways in Manipur, to target the INC and Chief Minister Okram Ibobi. The INC counter-alleged the UNC’s ongoing indefinite economic blockade as being instigated by BJP and imposed at their behest. Past successive governments remained non-committal on the issue of granting a status of full-fledged revenue district due to the perceived fear that it might led to escalating ethnic tension. As early as 14 December 1981, a Cabinet sub-Committee had been appointed for carving out new revenue districts and re-adjustments and demarcation of the state boundary in the proposed unit by taking into consideration the population, ethnic affinities and compactness of the area or any other suitable criteria. Since the very beginning, the demand for Sadar hills were met with opposition from the Naga bodies in the state and otherwise. The demand for creating Sadar Hills District by bifurcating the Senapati District of Manipur was made on the basis of the inconveniences of the people living far away from the existing District headquarters of Senapati. But it was construed by a faction group of theNaga ethnic army outfit as a step towards the realization of ‘Kukiland’ which collide with the proposed ‘Nagalim’. In connection with it NSCN-IM took the stand that it cannot include even an inch of the land of the Nagas. Such stands of the NSCN-IM were later parroted by the overground organizations of the Nagas. The issue also came to the forefront ahead of the Manipur assembly poll in 2007. Almost all the political parties in the fray except few individuals fielded by UNC pledged to support to grant the status of full-fledged revenue district to the sub-division if elected to power. On 1st August 2011, just barely seven months before the 10th MAE 2012 to be held, the indefinite economic blockade preceding the sit-in-protest by the Sadar Hills District Council members and leaders of Sadar Hills District Demand Committee (SHDDC) staging a sit-in-protest at the office complex of Additional Deputy Commissioner Kangpokpi, ‘against 40-years denial of Justice on the Sadar Hills District issue imposed an indefinite economic Blockade along NH-2, 37 and 150 (Tipaimukh Road). That time around a prominent Kuki legislator of the ruling Congress party also resigned from his Ministerial post in support of fulfilling the demand for Sadr Hills District. The Nagas opposed the issue as the UNC in response to their movement also imposed indefinite counter economic blockade along NH–2 in Manipur. The SHDDC even went to the extent of banning all ‘poll/MLA election related activities in the in Sadar Hills during the current month of October’ 2011. The people of Jiribam for long also had been demanding the up-gradation of the sub-division into a full-fledged revenue district. In connection with it, the State Cabinet Meeting held at the Conference Hall of the Chief Minister with himself in the chair on 27 November 2006 did discuss the issue of the conversion of Jiribam sub-division into a full-fledged revenue district but had to differ the agenda as there were differences of opinion on the matter vis-à-vis the similar demand to upgrade Sadar Hills to a full-fledged revenue district. The Jiribam District Demand Committee (JDDC) constituted by 18 different social organizations of Jiribam sub-division had earlier set 18 December as the dateline to upgrade the subdivision. But the Cabinet Meeting held at 27 December 2006 was indecisive about the conferment of district status to Jiribam. This led to the further intensification of the agitation with the ceasing of the survey work of the Jiri-Tupul Rail Line and also resolved not to pay any form of taxes to the state government. Ahead of 9th MAE 2007, a political body which tried to cash in on the growing resentment of the people also came into existence with the formation of “Progressive Development Forum” on 2 January 2007 with the President of Janata Dal (Secular) of Jiribam Unit as Chairman and President of BJP Jirbam Mandal as Convenor. It pledges to extend unconditional support to the JDDC. The JDDC also, just ahead of the 10th MAE 2017 signed a memorandum with the GoM agreeing mutually on 9 November 2011 for the upgradation of Jiribam Sub-Division to a full-fledged revenue district. In the electioneering of 11th MAE 2017, the two principal contending parties have obviously the most highly pitched battle on the issue of economic blockade. The BJP used the UNC’s ongoing indefinite economic blockade of national highways in Manipur, to target the Congress and Chief Minister Okram Ibobi. At his rally in Imphal on February, Prime Minister Narendra Modi promised to end the blockade if BJP came to power in the state. BJP president Amit Shah even went to the extent saying that the blockade would end within 24 hours of his party assuming charge in Imphal. Many of the ruling INC leadership, including the President and the incumbent Chief Minister also counter-alleged that UNC’s ongoing indefinite economic blockade was being instigated and imposed at the behest of the BJP. Creation of Seven New Districts: The creation of seven new districts on ‘8 December 2016’ namely Jiribam, Kakching, Kangpokpi, Kamjong, Noney, Pherzawl, and Tegnoupal bifurcated correspondingly from the existing districts of Imphal East, Thoubal, Senapati, Ukhrul, Tamenglong, Churachandpur and Chandel happened at a time while the whole of state populace got continuingly caught in a ransom due to prolonged imposition of economic blockade by the UNC against the anticipated move of the state government for the creation of Sadar Hills District and Jiribam. The state government maintained that the creation of new districts was done so to facilitate better administration and more equitable development. The creation of Kamjong District fulfilled the long standing demand and aspiration of the people of the four sub-divisions of Phungyar, Kamjong, Kasom Khullen and Sahamphung under Phungyar AC who had formed a District Demand Committee to seek greater infrastructural development and better means of communication for addressing socio-economic issues and improving the living standards of the people. The decision to exert pressure on the Government to carve out Phungyar AC from Ukhrul and declaring it as a separate district was adopted during a joint meeting of the public leaders, social workers and village headmen of the four sub-divisions at the Babupara official residence of MLA of Phungyar AC Wungnaoshing Keishing on 10 February 2011. The UNC had raised strong oppositions to it as creation of any new district goes against their dictate of ‘severing all political ties with the Government of Manipur (GoM) and therefore a setback to their demand for alternative arrangement outside the GoM. The UNC had even warned the Committee to withdraw the memorandum submitted for the creation of Phungyar to the state Chief Minister on February 2011. Shri Wungnaosang Keishing, MLA of Phungyar AC who took the major initiative in demanding the creation of Phungyar District and continued to stick to his guns despite the threat by the UNC was attacked by NSCN (IM) killing his driver and six policemen at New Canan village in Ukhrul district on 15 April 2011. Despite objections from UNC and its cohorts, the creation of Kamjong was welcomed at the instant by the Eastern Kuki Chiefs Association, Tangkhul Naga Kuki Welfare Association, Raizan Long, and Raizan Kamtamnao Long. The demand for the creation of Tengnoupal District by bifurcating the Chandel District which had been there since 1970 first came to light in the year 2006 when Tengnoupal District demand committee submitted a memorandum on that regard to the Chief Minister. It again resurfaced on August 2011 with the Kuki Students Organisation (KSO), Chandel and the Kuki Chiefs Association (KCA), Chandel spearheading the cause for the creation of Tengnoupal. Chandel, very much a part of NSCN-IM’s aspired territory of ‘Nagalim’, there is no reason why it should not be considered a setback for the NSCN-IM when a new district dominantly inhabited by Kukis was formed by bifurcating it. The creation of Tengnoupal District by bifurcating territories of Moreh, Machi and Tengnoupal sub-division from the Chandel District by the Tengnoupal Village Chief and KSO, Tengnoupal Block, and expressed gratitude on behalf of the people. Newly created Noney District formed by amalgamating Nungba, Khoupum and Haochong Sub-division of Tamenglong District was seen as a fulfillment of the demand made by Tongjei Marin District Demand Committee (TMDDC) for creation of separate district by bi-furcating the existing districts of Churachandpur, Tamenglong, Jiribam (in Imphal East) and Senapati. People of Noney gathered together and hailed Chief Minister O Ibobi and Deputy Chief Minister Gaikhangam for the historic decision, and also celebrated with much zeal and vigour welcoming the State Government’s decision of creating Noney District. The demand for Pherzawl District was fulfilled with the upgradation of Pherzawl ADC to a full-fledged district formed by carving out Pherzawl, Thanlon, Parbung, Tipaimikh and Vangai Range sub-divisions from the erstwhile ethnic relations in Manipur and Nagaland. For instance, some sections of Nagas in Manipur are celebrating while the Nagas of Nagaland are skeptic that the agreement should not come out as a compromise. The framework agreement of between the GoI and NSCN-IM is presented in such a manner that it has the answer to the aspirations or ‘sentiments’ of the NSCN-IM as well as the people of Manipur. The BJP, Manipur Pradesh was quick in raising its concern that it submitted a memorandum to the Hon’ble Prime Minister of India on 6th August 2015, stating that the people of Manipur were keeping a wary eye on the unfolding (Naga) peace process and its immediate aftermath in the state. All sections of the society, including the political parties and the State Government, demanded in unison that the peace accord should be made transparent and more inclusive, and it should respect and protect the sanctity of the pristine territorial integrity and administration of Manipur, it further stated. The memorandum concluded by requesting to seriously consider the above views that the above views may be considered seriously while working out the details of the Peace Agreement with NSCN-IM. It has been rejected by most of the Naga Political Groups (NPGs) in Nagaland too. NSCN–K maintained that the agreement was intended exclusively for NSCN-IM and they were under no obligation ‘to either agree or disagree’. National Socialist Council of Nagaland-Khole Kitovi (NSCN-KK) also said, “Our group had nothing to do with it as it is for Muivah. The NSCN-Khole-Kitovi has no problem with Naga Peace Accord if the agreement was good for Muivah and Southern Nagas (from Manipur).”As for the Nagas of Nagaland, it further said, “The NSCN-KK would seek a political settlement or solution with the people’s consultation. [‘Why Nagaland is not celebrating the ‘Historic’ Peace Accord’, rediffNews, 07 August 2015, cited in Aheibam Koireng Singh, Hanjabam Shukhdeba Sharma, Homen Thangjam eds., Claims and Refutations: Compilation on Naga Political Movement in Manipur, Canchipur: Centre for Manipur Studies, 2016]. Naga National Council (NNC) also expressed apprehension that the signed framework agreement would be a ‘harbinger of further division and distrust not only amongst the Nagas but between the Nagas and India. He further said that it was hypocritical on the part of the GoI to say that it is committed to solving Indo-Naga conflict and at the same time capitalize on the division by constantly furthering divisive spirit among the Nagas either by declaring one group an outkawor entering into cease-fire and related agreements with another group or remaining completely indifferent to some others. “What was once a free Nagaland without any authority over us is now divided up into different parts wherein a great part is now under different political and administrative control of Non-Naga states such as Manipur, Assam and Arunachal Pradesh. ” The NNC Vice President, Keyho said. He also rued, He further disapprovingly said, the most tragic part of the agreement was that other states have “shamelessly come to think that Naga lands belong to them and making a hue and cry to protect their territorial integrity.” The Nagas of Nagaland remain indecisive as the agreement is concealed so far. Sanjoy Hazarika question why what’s the need for secrecy, if it is historic. However, a cursory peek into the earlier claims and trajectories as well as the currently secretive yet unfolding dynamics of the framework agreement as narrated by the “participants” seems to be telling an altogether different story. In this sense, instead of bringing about lasting peace, the so called “historic” agreement is likely to burn down ‘sentiments’ of both the Manipuri Nagas and Manipur into ashes. The basic issue staring into our face is whether GoI, as a signatory of the framework agreement, has been able to kill two birds with a single shot. In other words, has GoI been able to dissuade NSCM-IM to give up its claim for “Nagalim” or Greater Nagaland thereby make the party abandon its demand for inclusion of the 4(four) hill districts of Manipur into the pan-Naga politico-administrative structure. Further, in reaching such an historic agreement, has the GoI been able to tranquil the edgy Manipur’s historic demand for territorial integrity, and thus, respect its history. In such a perplexing state of muddling secrecy, it remains uncertain what the framework agreement of August 3rd, 2015 in fact holds for the fate of Manipuri Nagas, the states of Manipur, Assam and Arunachal Pradesh. Considering the situation, it is difficult to understand the reality as contents of the agreement has been concealed so far. Moreover, from whom the text is concealed is also a big question, whether it is concealed from the people of Nagaland or Manipur as signing an agreement with one group never brings peace. Rahul Gandhi while speaking in the election rally at Hapta Kangjeibung Imphal alleged that framework agreement was signed without consulting the Chief Minister and the people of Manipur. Chief Minister O Ibobi also asked Central Government and BJP leaders to upload the contents of the Framework Agreement on the internet if they were honest enough. Citing non disclosure of the framework agreement, Congress leader and Deputy CM also said BJP would not even be able to cross two digits mark. Dr Moirangthem Nara, former Minister, and CPI Manipur State Council Secretary and Left and Democratic Front convenor also said BJP does not deserve any votes for not disclosing the framework agreement.42 Union Home Minister and BJP Leader, Rajnath Singh also under pressure from the ruling BJP and the civil society and students groups reiterated to protect state’s territorial integrity stating that the framework agreement does not have any clauses that could hurt the state’s territorial integrity and also alleged the ruling INC party for playing politics on it for enhancing electoral prospects.43 Demanding the disclosure of the details of the contents of framework Agreement between the GoI and the NSCN-IM, All Manipur Students’ Union also carried out agitations, poster campaigns and meetings in various part of the state.44 Two leading Civil society organization, the Committee of Civil Societies Kangleipak (CCSK) and the United Committee Manipur (UCM) also organized a meeting on 27 February appealing all the candidates of MAE 2017 to come forward to solemnly swear and affirm the draft ‘Pledge to the People’ stating that they shall - spare no efforts in urging the GoI to bring out a White Paper on the Framework of Agreement to enable the people of Manipur to form an informed opinion on the same; oppose tooth and nail any attempt to create a homeland dedicated to one ethnic community; stand with the people unreservedly in rejecting any supra-state body to buy peace with NSCN-IM. Further it also stated that, after getting elected, they shall do - everything in my power to have a resolution fully endorsing the above demands adopted by the 11th State Legislative Assembly; and everything in my power to protect, preserve and promote the territorial integrity and age-old tradition of co-existence amongst all communities of Manipur. On the said day, as reported, 26 BJP candidates, 14 Congress candidates, 10 NEIDP candidates, eight AITC candidates, six CPI candidates, five MPP candidates, four NCP candidates, three PRJA candidates, three NPP candidates, two AIFB candidates, two CPI(M) candidates, two LJP candidates and three MNDF candidates have endorsed the pledge by appending their signature. CCSK secretary general Jitendra Ningomba expressly doubted the surety and credibility of the Prime Minister Narendra Modi’s assurance that the Framework Agreement did not contain anything which might affect the integrity of Manipur. Imphal, UNC, on the other hand in its ‘Position of the United Naga Council on the 11th Manipur Legislative Assembly Election, 2017’ stated that UNC would oppose Chief Minister O Ibobi and the MPCC and added that all the Nagas in Manipur would face the Assembly election with the Naga People’s Front as the bandwagon. The Kukis represented by Kuki Inpi had also issued a statement on 01 February 2017 stating that the state could never do or say anything about the land inhabited by the three communities from time immemorial as representative capacity without the consent of two major ethnic communities namely – Meiteis, and Kukis. Again, on 2nd March, Kuki Inpi submitted a memorandum to PM Narendra Modi appealing to settle the alleged ‘heinous acts’ committed by NSCN-IM and also to reveal the contents of the ‘Framework Agreement’ that was signed between the militant group and GoI. The Bill mired into controversy, not primarily because of its contents but mainly, by labelling it as anti-tribal, an opportune moment was crafted out of the situation to push the polarised ethnic agendas. The otherwise innocent people were deliberately mobilised and incited against the bill to spark the already highly charged atmosphere. When the first day casualties of anti ILPS agitation which happened in the intervening night of 31st August 2016 were reported, six houses belonging to local MLAs and Ministers of the district were set ablaze. Seven including six protestors were killed on the spot, four in firing by security forces, two charred by the arson fire, and one died due to road accident. At the sight were casualties happened, Assam Rifles (AR) was deployed in the frontline on that intervening night. 23 Jawans of AR were also reportedly injured due to stone pelting. The reinforcement of the state force came only in the second day. Two more were killed the next day in police firing when the rioting mob reportedly tried to set ablaze the CCPur Police Station. Of all the six died due to bullet wounds only the two killed on 1st September 2015 were certain to have died of police bullets. But those masterminding the Anti-ILPS protest deliberately projected as if all the nine death casualties were due to police firing. Naga cohorts including the political party and frontals as well found the opportune moment to exhibit solidarity with the Anti-ILP Bills protestor from the CHIKIMZ Community in CCPur. Joint Action Committee against Anti Tribal Bills (JACAATB) together with the Outer Manipur Tribal Forum (OMTF) in protest against the passing of the said three bill resolved to boycott INC and disallow to have any activities in the tribal areas and their office be locked with immediate effect. The Naga organisations which exhibited solidarity for the stated cause of ‘Tribal Unity’ against the ‘communal government’ of Manipur included the UNC. The continuing agitation and the refusal to give a ceremonial burial to those 09 killed even after the prospects of bill becoming an act was ruled out with the President of India withholding his assent on 11 May 2016 exposed the intention of those sticking to protest. The Union Home Minister and Senior BJP Leader, Shri Rajnath in his speech at the election rally on 2nd March at Churachandpur alleged the INC of ‘playing the politics of coffin’ by ‘creating division among different communities and by confusion’. He also assured of a CBI investigation of the alleged police firing during protests demanding roll-back of three ‘anti-tribal’ bills passed by the Manipur Assembly. Kukis and Hmars have eventually declared the severing of ties with JACAATB just ahead of observing the second anniversary of the Anti-ILP protest started in 31st August 2015. With it covert rift within becomes overt. Many Kukis particularly Thadous had been very critical with the enthusiastic opportunism of the UNC and other Naga frontals which at one time had the impudence of serving Quit Notice to the Kukis in Manipur hills. In fact, those communities who disapproved the movement being piloted by the UNC and its cohorts dissociated themselves. Later, JACATB constitutes only of the UNC, other Naga frontals and CCPur based organisations belonging to the communities who were traditionally ally of UNC. The JACAATB had made a five-point declaration pertaining to the 11th MAE 2017. The declarations included - to refrain from casting their votes in favour of the boycotted tribal MLAs who still chose ‘to turn a blind eye to the cries and sentiments’ of their tribal electorates even after more than one whole year of unrelenting protests; to declare public boycott, till further notice, on all the sitting tribal MLAs who refused to feel the pulse of the tribal populace and declined to resign in spite of the mounting pressure from the general public to do so; The tribal MLAs includes D. Korungthang of Tengnoupal AC; Janghemlung Panmei of Tamenglong; Victor Keishing of Phungyar, Gaikhanngam of Nungba; M.K. Preshaw of Chingai; Dr. Chaltonlien of Tipaimukh; Yamthong Haokip of Saikul (ST) ; Vungzagin Valte of 56 Thanlon (ST); Francis Ngajokpa of 49 Tadubi; T. Manga Vaiphei of Henglep; Nemcha Kipgen of Kangpokpi; Phungzathang Tonsing of Churachandpur; Ngamthang Haokip of 51 Saitu (ST); T.N. Haokip – 59 Saikot (ST); Z. Kikhonbou Newmai of Tamei and Ginsuanhau Singngat AC. The stricture against the INC candidate by the JACAATB led to the abandoning of the party by three sitting MLAs in Churachandpur District. They were Phunzathang Tonsing of Churachandpur AC, Manga Vaiphei of Henglep AC, and V. Valte of Thanlon AC. There have been comment that in the 11 MAE 2017, United People’s Front (UPF), a conglomerate group of ‘Zomi’ armed outfit existingly in SoO was closer to BJP so as to continue the ‘political dialogue’ with the GoI on ‘Kuki political issues’. As regards Ms. Nemcha Kipgen of Kangpoki AC who also had abandoned INC for BJP, she being the wife of UPF Chairman, ST Thangboi, her changing loyalty might not be due to strictures by the JACAATB. Suspension of Operation (SoO) with the ‘Kuki’ and ‘Zomi’ armed groups in Manipur was preceded by ‘Cessation of Operations’ agreement with the union government which comes to effect from 01 August 2005. After a gap of three years, SoO between the conglomerate groups of ‘Kuki’ and Zomi Outfits namely the Kuki National Organisation (KNO) and the United People’s Front (UPF), the state government and the central government was signed at Delhi on 22 August 2008. After remaining lull for more than 10 years, the Central Government initiated the first ever political dialogue with the UPF and the KNO. The UPF, together with the KNO together controls about 10 Assembly segments in the hills. And also, there have been reports of the SoO armed conglomerate group favouring BJP candidate, and the. Together with the creation of new districts, the ongoing political dialogue with the centre on Kuki-Zomi political issues was also a vital determinant factor which could influence the outcome of the MAE 2017 in the areas controlled by the respective armed conglomerate groups of the KNO and the UPF. The Union Ministry of Home Affairs (UMHA), GoI had sanctioned over Rs.4,40,20,000/- to the GoM for payment of stipends to the cadres of SoO signatory the KNO and UPF. In the second round of the tripartite talk involving the GoI, KNO and UPF and the GoM, held on 19 October 2016 at New Delhi. UPF and KNO submitted a document titled ‘A case statement for a separate State for the Kuki/Zo people’. The proposed state included Sadar Hills, Chandel, Churachandpur and the ‘ancestral lands of the Kuki/Zo people in Jiribam’. On 2nd March, Senior BJP Leader and Union Home Minister, Rajnath Singh, just two days ahead of the First phase 11th MAE 2017 while at Churachandpur, delivering the final stroke of the first phase election assured to solve the political problem of the Kuki-Zomi people promising political solution for the ‘Kuki’, ‘Zomi’ groups under SoO. The demand for ‘separate state’, ‘separate administration’ have also been sporadically raised by organisations like JACAATB, Kuki Inpi, Kuki State Demand Committee, and others. As expected, following a hung verdict with neither the INC nor the BJP getting absolute, there was a tussle between the INC and the BJP to form the newly elected government. Okram Ibobi, the incumbent Chief Minister was re-elected by the Congress Legislature Party (CLP) Meeting as the CLP leader for the fourth time. He later staked claim to form the newly elected government, insisting that the INC being the largest party should first be invited. INC also claimed to have the support of all the four elected NPP MLAs in its bid to form a new government. On the other hand, N. Biren had been unanimously elected as the leader of the BJP Legislature Party and also declared as their official Chief Ministerial candidate. The BJP leadership also approached the Governor and staked to form a government at the strength of having the support of 32 MLAs. The Governor, on 14th March invited the BJP led coalition to form the government. Accordingly, N. Biren Singh was sworn in as Chief Minister on 15 March, thereby ending the 15 years of INC rule in Manipur.N. Biren’s BJP led government won the floor test on Monday 20th March with the support of 32 MLAs in the 60 member Legislative Assembly. The Ministry expanded with the induction of three more ministers, all from BJP. Chief Minister N. Biren later appointed 12 MLAs as Parliamentary Secretaries and Government Chief Whip and Economic Affairs and Human Resources Advisor to CM had also been appointed from among the BJP MLAs. As its immediate outcome, the 139 days old economic Blockade imposed by the UNC was lifted with effect from the midnight of Sunday, 19th March following the tripartite talks involving the State Government, Central Government and the UNC.